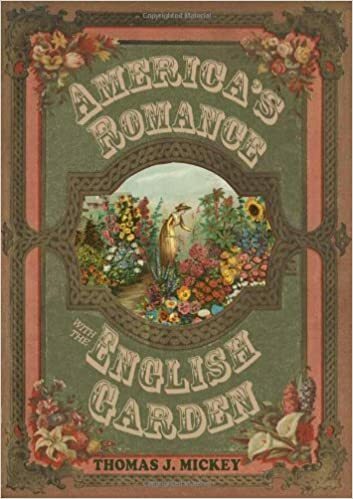 When I started this blog a year ago, I said that I would publish posts that reflected what I was currently reading on the topic of American gardening and the English garden tradition. Just finished the Master’s thesis of landscape designer Jennifer Grace Hanna who graduated from Cornell. Her thesis, Ornamental Garden Design, discussed mostly nineteenth century Rochester seedsman James Vick (1818-1882), but also covered much garden history from that period. I loved the book. In the cover image to the left from Peter Henderson’s 1899 seed catalog notice how one property adjoins another with a lawn as their common bond. No fence separates the properties because the continuity of the lawn was an important landscape principle. 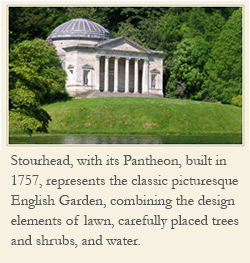 The nursery owners encouraged the lawn because it was part of the English landscape garden design aesthetic, but also because it was good for business. That landscape style sold lawn seed and lawn mowers. 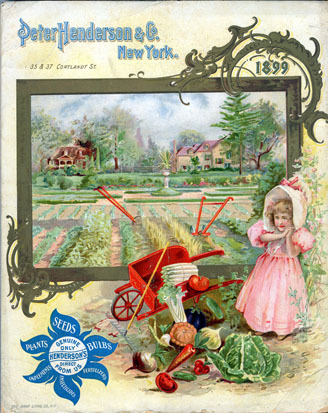 And so it was no surprise, according to Hanna, that the English garden with its lawn became the model for the suburban, middle class American garden of the nineteenth century.